Posted July 18th, 2012 by Yvonne Hawkey & filed under Interconnects, Naim. This superb interconnect is a product developed out of the research and development undertaken for Naimâ€™s reference CD player (the CD 555) and it shows. 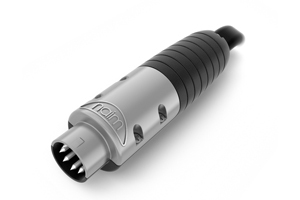 As well as the exclusive high performance cable, Naim also engineered the highly innovative â€˜Air-Plugâ€™ DIN connector. With a number of different combinations of DIN and RCA connectors available, the Hi-Line is an ideal way to get more music out of your Naim system.